Shelina is trained and certified as a Family Mediator and Collaborative lawyer. She is committed to helping families resolve disputes in a calm, clear and respectful manner, keeping the needs of their children first and foremost. Shelina has been a family mediator for over 12 years. She believes that mediation is a process that allows parties to resolve family separation and breakdown issues, such as working out parenting plans, guardianship, allocation of rights and responsibilities, child and spousal support and asset and/or property division fairly and respectfully. Shelina’s mediation practice focuses on helping parties work through the underlying emotional issues, and helping them build and create solutions that work best for them and enables them to move forward positively. She focuses on helping families restructure their parenting and finances in a manner that is cost-effective, efficient and constructive. Shelina establishes ground rules for respectful communication and creates a safe and confidential environment where the parties begin to work on identifying the issues, exploring ideas and options and creating customized solutions. Shelina’s practice focuses on helping parties keep the lines of communication open or assisting the parties in re-establishing positive and healthy communication in situations where trust and communication have broken down. Shelina is committed to helping the parties find positive ways to move forward, which is invaluable and essential when there are children involved. Shelina will help build in effective communication strategies when necessary. 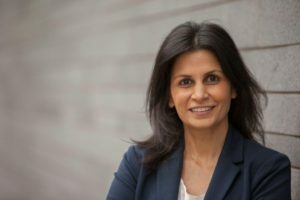 Shelina also draws on her extensive training in all areas of family law and alternate dispute relation training to customize solutions that work for each individual family in reaching a negotiated settlement through mediation. Shelina is accredited as Family Mediator through the Law Society of British Columbia. 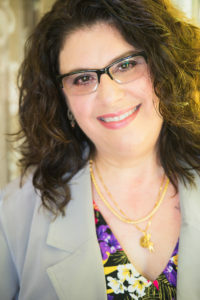 She is also a member of the BC Collaborative Roster Society, the BC Parenting Coordinator Roster Society and Mediate BC. Throughout her career, Angiola has been known for her ability to negotiate settlements, long before no-court dispute resolution processes were common. Her passion for resolving conflict through negotiation, and for supporting people to create effective, long-lasting solutions to conflict has been a hallmark of her life work. Known as the “bridge builder”, Angiola uses her passion for working with people and her exceptional skills as a negotiator to facilitate issues such as cohabitations, marriages, separations, workplace conflict resolution and team building, succession planning, and estate conflicts. Certified as a mediator since 1995, Angiola’s in-depth work as a mediator helps clients to peacefully reach creative agreements that incorporate their highest values and best meets their needs. She supports them to find healthy ways of resolving conflict that have respect and openness at the core, and that take into consideration the interests of all those involved. In her time away from work, Angiola loves to give her energy to volunteer activities, as well as spend time with her family. Cohabitation and marriage agreements, Family Mediation (including revisions and updates), Resolution of discord within families and family businesses, Work place conflict resolution and team building Succession planning, Estate conflicts, Board of Directors conflict resolution and team building.